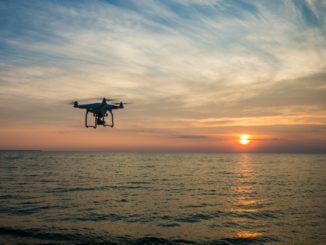 New York City is an iconic landscape for shooting aerial footage. The metropolitan background has amazing lights and details that draw the eye with every angle. 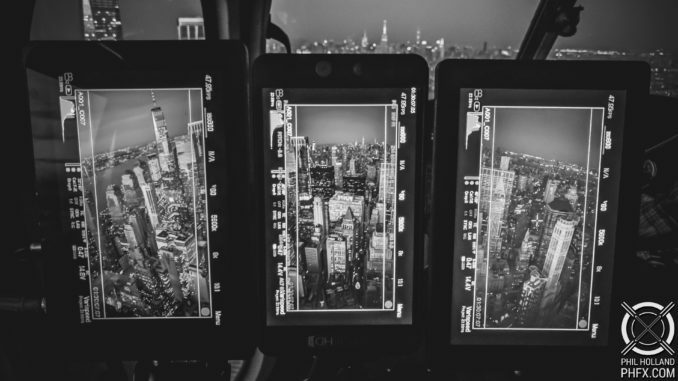 But when you shoot it with three RED Weapon Monstro VV cameras and mash them altogether to get a 100 MP 12K image, even the city that never sleeps comes to life. Think about that for a second. 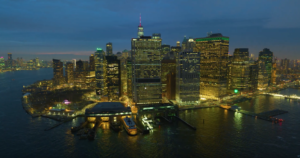 Filmmaker and visual effects artist Phil Holland was able to shoot New York City with an aerial camera array called the Shooter K1 Hammerhead and get an image that is nearly fifty times the resolution of 1080p! That’s like the next best thing to being there. So how did he do it? 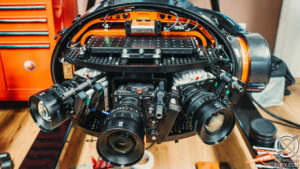 Holland says that the K1 Hammerhead Aerial Camera Array is capable of carrying a trio of RED Weapon Monstro 8K VV cameras, all filming in concert. 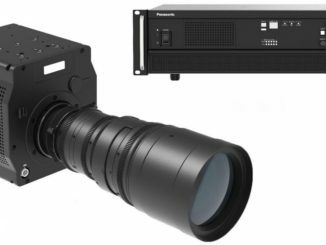 After processing and merging all three 8K video files, Holland ended up with a crystal clear 100MP motion picture image that has an equivalent sensor size of 645 Medium format film. That’s about as large format as you can get without going full IMAX. You get the point. Holland used a trio of 35mm primes in order to get as wide a vista as possible without severe image distortion. “Also, since they don’t breathe during focusing, stitching would be an easier task when adjusting focus from the eye,” Holland said. 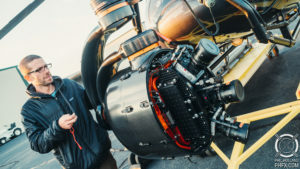 … since 8K cameras have hit the scene I’ve been experimenting a lot with perspective correction to provide an even more unique perspective on aerials especially in cities with buildings, we can generate very high quality results because we have so much resolution at our disposal. The workflow required stitching of all three images, and doing so with the thinnest overlap to get a workable image. Shooting the images on their sides in “portrait,” Holland was able to line up all three and the actual detail of shooting in 8K helped alight and stitch the image with a minimum of abberation, that would allow him to blend wherever necessary. 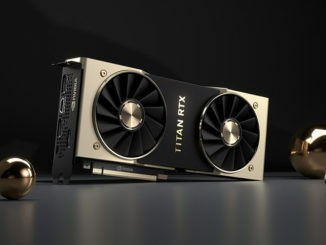 Holland says that while the ultimate destination was 8K import, he says that it’s best viewed within the range of 4-8K. But even on YouTube at 1080p the result is pretty stunning, visually. For me personally, the image brought back memories of the Disney CircleVision Theater, where imagineers took 8 Vista Vision film cameras into a circular array and captured San Francisco from just about every angle. The result was repeated for Epcot Center in Walt Disney World, for the Canadian Pavilion. It’s one of my favorite cinematic techniques next to shooting in 70mm. Read more about Holland’s adventure and techniques here.